Microsoft’s digital assistant isn’t content to conquer Windows Phone and Windows 10: Cortana is a-coming to Office, too. That’s according to The Verge’s Tom Warren, who went digging after the folks at WMPowerUser discovered an odd Work Assistant app in the Windows Phone Store, locked down to internal Microsoft beta testers alone. The Work Assistant app is a prototype that can be used to open, edit, and share documents via voice commands and Cortana, Warren reports. Apparently the end intention is to integrate Cortana fully inside of Office on phones, tablets, and PCs. Microsoft recently announced that Office 2016 will ship later this year, and released a preview of touch-capable Office apps this very week, ahead of an official launch closer to the release of Windows 10. The story behind the story: ZDNet’s Mary Jo Foley reports that the Work Assistant app is being developed by the Applications and Services group under the watchful eye of executive vice president Qi Lu, chief experience officer (and former Windows co-chief) Julie Larson-Green, and Bill Gates himself. Those are some big names for a mysterious prototype app, which lends credence to Warren’s report. Warren and Foley are extremely reliable Microsoft reporters, and the duo that first broke the news of the Windows Blue update that eventually became Windows 8.1. If Cortana landed in Office, it would actually tie together multiple loose threads for Microsoft. 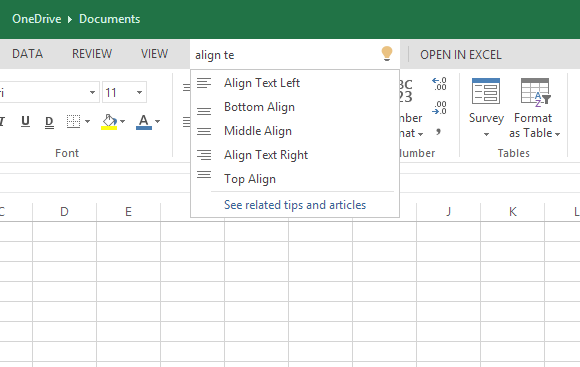 Tell Me in action in Excel Online. It sits in the middle of the Ribbon interface, saying "Tell me what you want me to do." Beyond the apparent desire to make Cortana central to all Microsoft’s major platforms, integrating voice commands and natural language searches continues a relatively recent addition for Office. In 2014, a handy ‘Tell Me’ toolbar appeared in Office Online, giving you the ability to search for features using natural language. 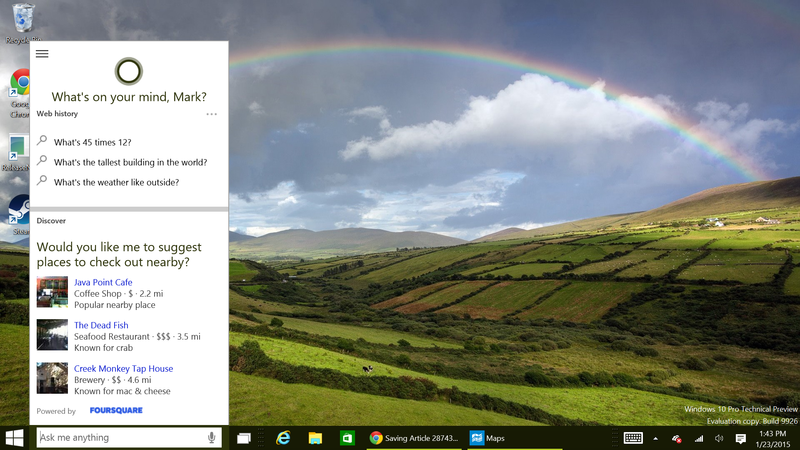 Given how deep (and occasionally obtuse) Office can be, it’s a huge help—and it’s easy to see how Cortana’s Bing-powered brains could improve the situation even more, especially on mobile devices. Next, if Microsoft continues its newfound cross-platform push, integrating Cortana into the Office apps for Android and iOS would let the assistant slip into competing platforms while still leaving her full capabilities a Windows ecosystem exclusive. Remember: Larson-Green told reporters in November that Cortana will eventually wind up on other operating systems in some ways. Finally, the whispers of Bill Gates' involvement with the project perks up our ears, because this report comes a mere week after Gates told Redditors that he’s involved in some sort of “personal agent” project within Microsoft. Assuming this all proves true, here’s hoping Cortana manages to be less annoying than Clippy when she winds up in Office. She already holds interesting conversations on Windows Phone —but only when you go out of your way to ask for her input.